If you’re not sure what a permanent redirect is, or why you might want to use one – get in touch with us, or leave a comment below and we’d be happy to help you out. 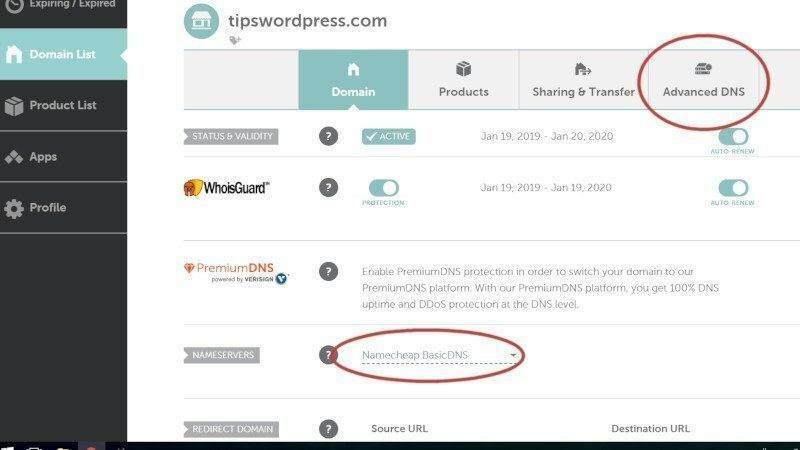 For this example, we’ll be setting up a 301 redirection for a recently acquired expired domain name (tipswordpress.com) and redirecting it to a category page on the Xpress Startups blog (https://xpressstartups.com/category/wordpress/). 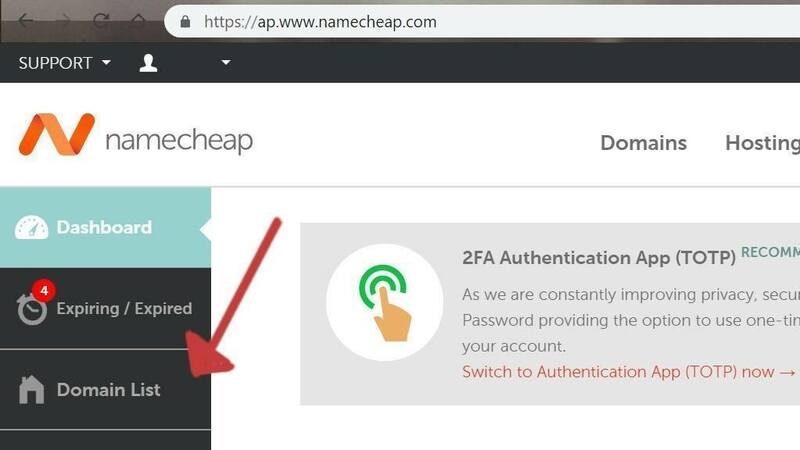 Login to your Namecheap account and navigate to your Domain List. Find the domain you wish to redirect, and click the Manage button. From the Manage Domain page, first ensure “Namecheap BasicDNS” is selected for the Nameservers setting. Then click “Advanced DNS” to continue to the next step. 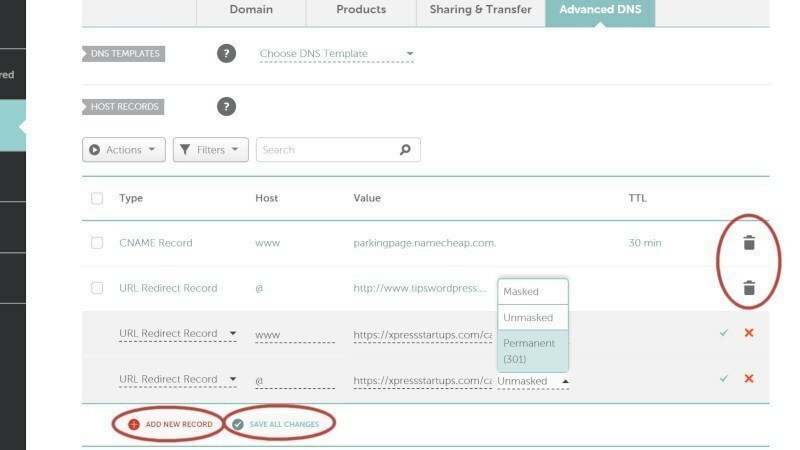 Ensure “Namecheap Basic DNS” is selected. All domain names come with two addresses, a “www” address and a “non-www” address. So we need to setup two redirection records in order to account for both versions. In the Advanced DNS section, scroll down and click the “Add New Record” button below your existing DNS records. Set the following details for your new record. Now we need to create a new record for the “non-www” redirection. Once again, click “Add New Record”, then repeat the same process as above, however entering the Host value as “@”. Finally, click “Save All Changes”. Be sure to delete any unnecessary DNS records. 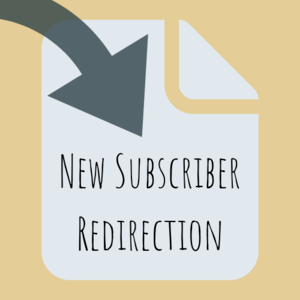 Usually a parking page record, and a “www” or “@” redirection – both of which are no longer needed since we now have permanent 301 redirects in place. That’s it. Your Permanent 301 Redirection is now fully setup. I do recommend that you read the next section however, as it explains how to easily track “hits” from a redirection. Now, this isn’t really super advanced, but not all situations will require this step. You will need to decide on a case by case basis. 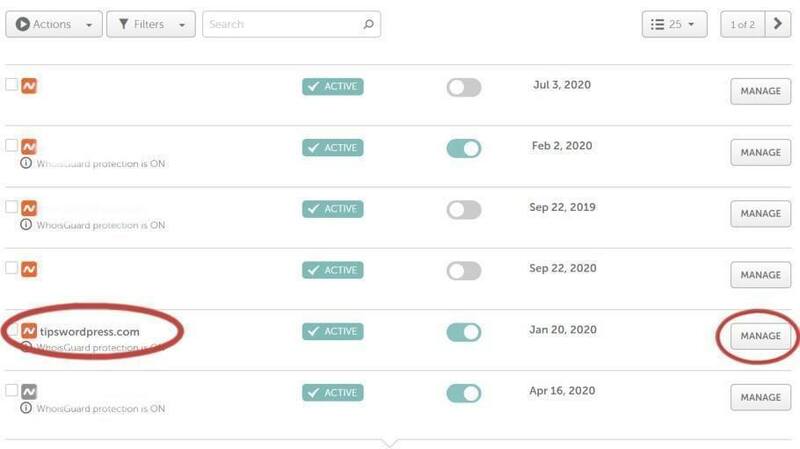 If you want to track how many visits this redirection brings to your site, there is just one more simple step to bring that data into your analytics dashboard. Set this URL as the Value for the “www” and “@” records, click “Save All Changes” and your redirection should be setup and ready. Wait at least a few minutes to let the changes propagate across the web before testing your redirection. Simply type the redited URL into your browsers address bar and hit enter. If everything has worked as it should have, you will be redirected to the destination URL you set. Have any questions or want to know more? Leave a comment below, or hit us up at our Contact Us page.